Riccardo De Franceschi is a typeface designer from Milan. His love for lettershapes brought him to England, where he studied at the Department of Typography at the University of Reading. He manages a design team at typeface design studio Dalton Maag, London. There, he has been designing custom typefaces over the last 7 years for leading brands such as Lush and Nokia, for the Latin as well as other scripts. He has a contagious interest in vernacular lettering and display typefaces. 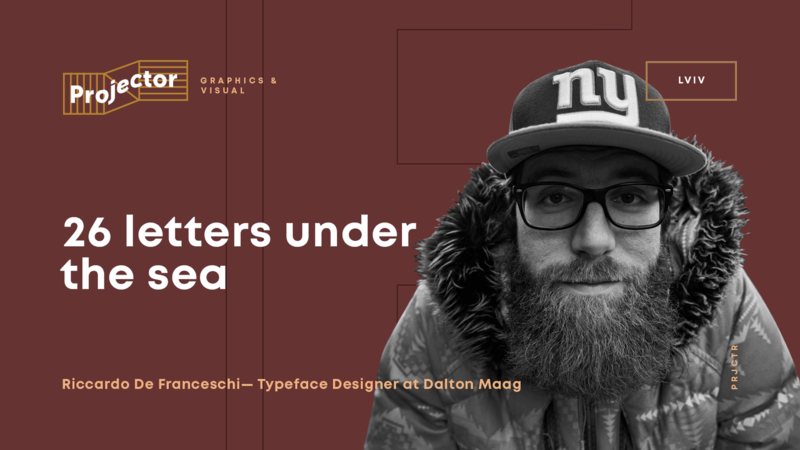 Riccardo will take you on a journey through the depths of the world of letters, from text type all the way to vernacular lettering and back. He will present some of the lessons learnt from his experience as a practitioner in the field. He will suggest unexpected sources of inspiration, also drawing from the relationship between letters and local communities. Please come and join him for a night of geekiness if you enjoy type, lettering and typography. The talk will provide an introduction to typeface design, and give both professionals and students inspiration on how to concept for new font and lettering projects.